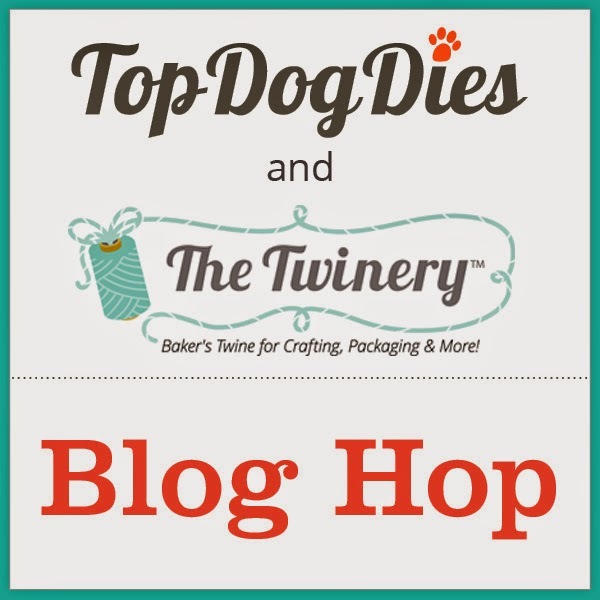 Hello friends and welcome to The Twinery and Top Dog Dies blog hop! I've been loving everything I've seen so far this week and hope you have too! If you're here from Stacey's blog, you're in the right spot! If not, head over to the Top Dog Dies blog or The Twinery blog to get started! 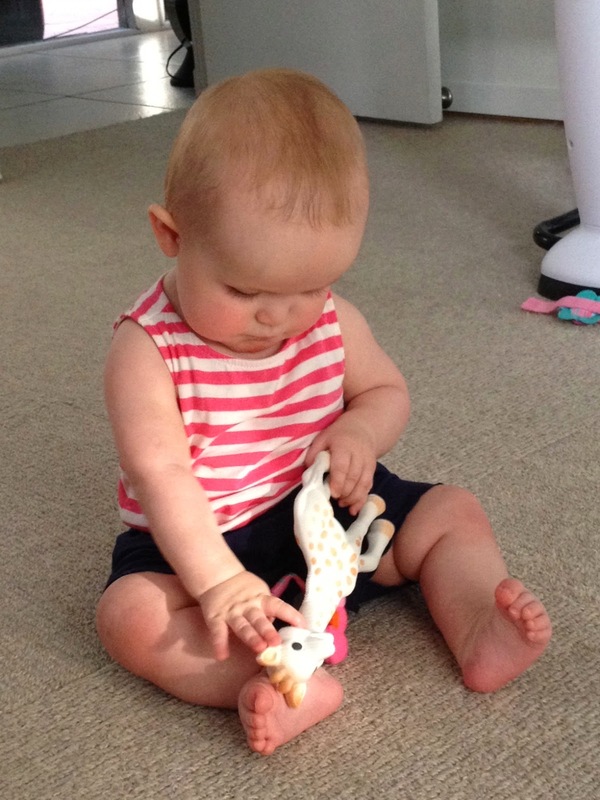 Have I mentioned how much I love my daughter lately? Oh I have? :) We had a photo shoot back in December with a professional photographer and had a lot of photos printed for our moms for Mother's Day. While I was going through that process, I happened upon a wonderful project of a floral letter enclosing a baby photo (I wish with all of my heart I could remember where I saw it and give them proper credit for this idea!) and thought I'd try my take on it along with Amelia's name stitched in twine. I started off with a 12x12 sheet of cardstock and roughed out the letter A and found a photo that would fit in the center. I surrounded the photo with a number of paper and fabric flowers along with wonderful die cut flowers using the Pretty Petals and Mini Flower dies. I finished the design off with some sequins for some sparkle. I then hand wrote Amelia's name and then pierced the cardstock so I could stitch it using Blossom twine. The last piece of the design was a wonderful butterfly from the Butterfly Set. I had so much fun making this project and now all I have to do is find a frame and get it hung up in Amelia's room. I think she'll love it when she grows up and I know I'll sure have fun looking at it in the meantime. I'm sure, by now, you've heard there is a prize up for grab which is a sampler pack of The Twinery's solid twine! Gorgeous! All you have to do is comment on each of the designer's blogs along the way. There will be additional opportunities to win which will be outlined on The Twinery and Top Dog Dies blogs as well. Hello friends! Today I'm up at the Waltzingmouse Inspiration blog! 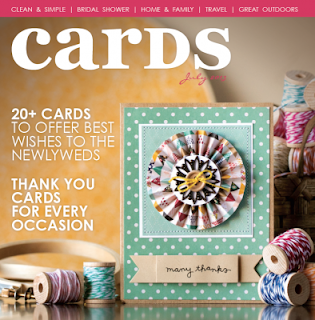 Head over there to check out how I made this card! Happy Mother's Day! Was she really that small? 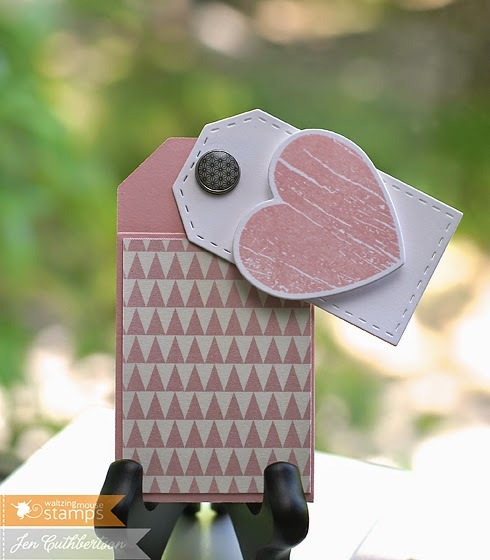 Hello friends, today is release day at Waltzingmouse Stamps! Do you have your lists ready? I just love the tags and have found them to be so useful - I just know I'll come back to them again and again! 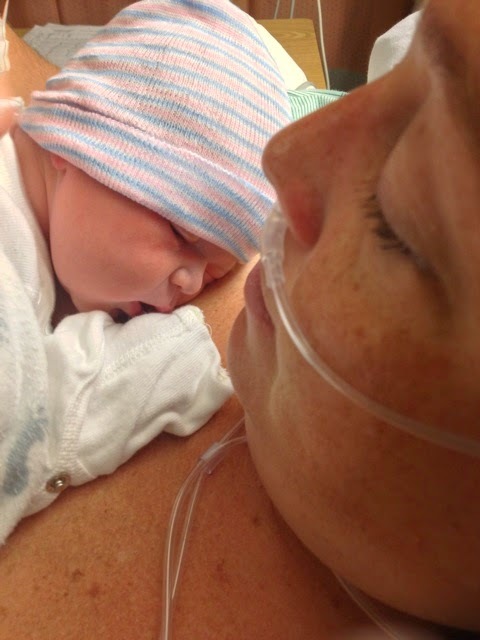 If you're here from Jeanne's blog, you're in the right spot. If not, head over to Claire's blog to get started in on all of the fun! Waltzingmouse Stamps - Preview Day 3! Hello friends and welcome to day 3 of this month's Waltzingmouse Stamps new release previews! I am in love with the tag theme this month and hope you are loving it, too! 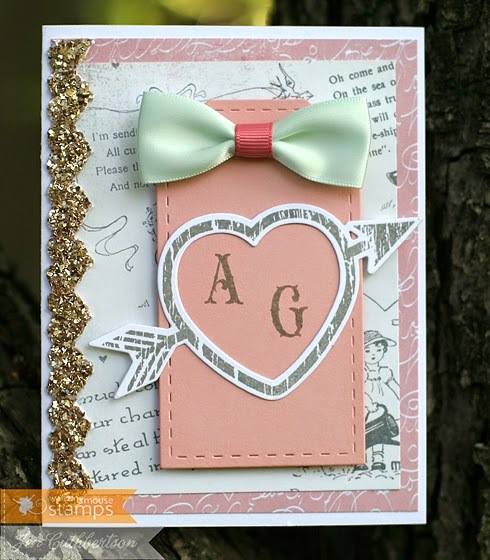 Today we are previewing a brand new die set called "Folding Tag" and it is so versatile! I'm a layer'r by heart and this is so much fun to work with! 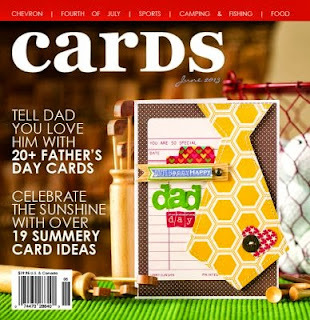 For this project, I started out by cutting the folded tag from a sheet of pink cardstock and found a perfectly matched piece of patterned paper which I added to the front. 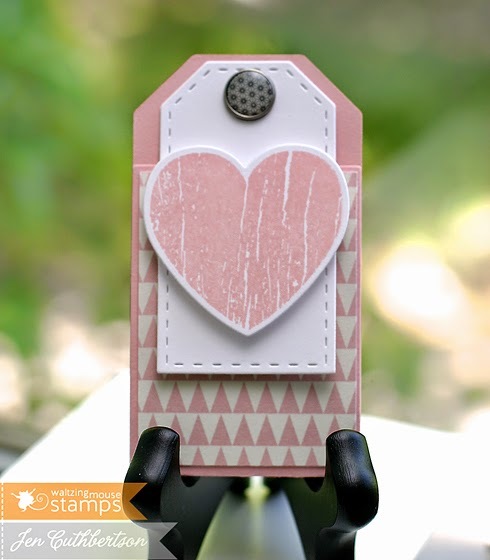 I also layered one of the medium stitched tags to the front using a brad and added a stamped heart from the "My Heart" stamp set and cut it out with the coordinating die. See how the brad makes a perfect little swing for the front of the tag?! I thought that was pretty clever! :) I cut out another tag from the Folding Tag set and used that on the interior which I stamped with a sentiment from the My Heart set. Perfect for Valentine's Day or any other lovey theme you can think of! In this last photo you can also see the little notch where the folded part of the tag hooks in. Very cool! Waltzingmouse Stamps - Preview Day 2! 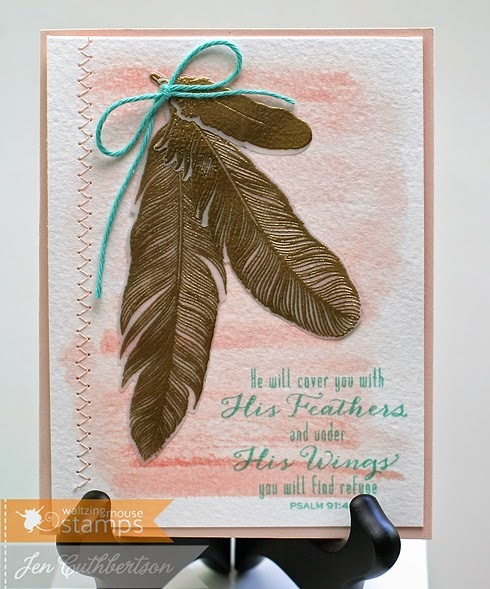 Today we are showcasing a fabulous new die set called "Stitched Tag" and I have already used it for so many things I'll have coming up here on the blog in the next little while. LOVE them! One of the things I've been doing is cutting all three tag sizes out of whatever cardstock or paper I'm using - they all line up perfectly for a run through the Cuttlebug. That way I can layer them or I have extras for later. Perfect! For this tag, I went with the layered look. 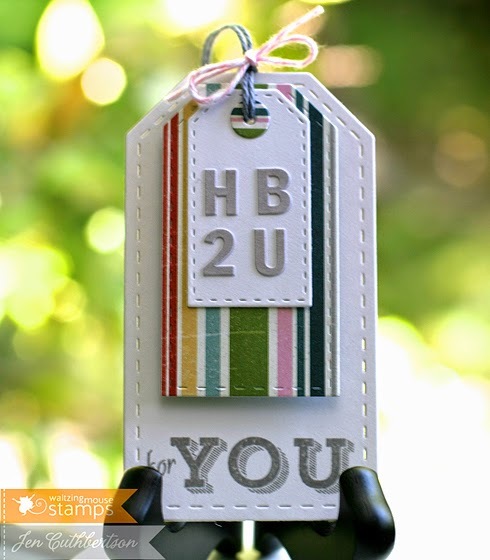 I took the large die and cut out a white tag which I stamped with one of the sentiments from the set and then layered a striped tag and another white tag on top which I covered with a "HB2U" sentiment made from small alphas. The die set even comes with the little reinforcer circle which is a really fun addition.